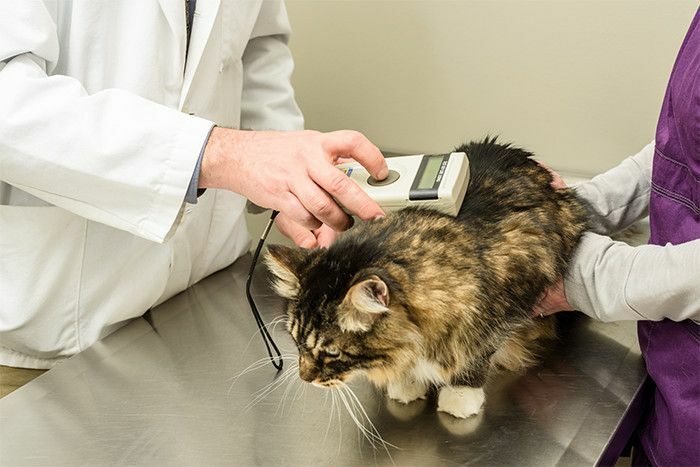 At our practice we highly recommend getting your pet micro-chipped. Sometimes things happen and our pets can get lost. By having your pet micro-chipped the chances of your pets returning home is much greater. A microchip is a small, rice size chip that gets implanted under your pet’s skin with a needle where it will stay forever. That chip contains an identification number that is linked to your pet. That ID number is then put into our computer system so if your pet is ever found and brought into us, we can link your pet back to you. Our clinic, animal shelters and police stations all carry a universal microchip scanner that can read your pets ID number. So no matter who finds your friend having a microchip, your pet is more likely to find it’s way home.